I love kale. I would eat kale every single day if I felt like going through the triple-wash system I use to make sure all the bugs and dirt have been removed from the gorgeous, curling green leaves. 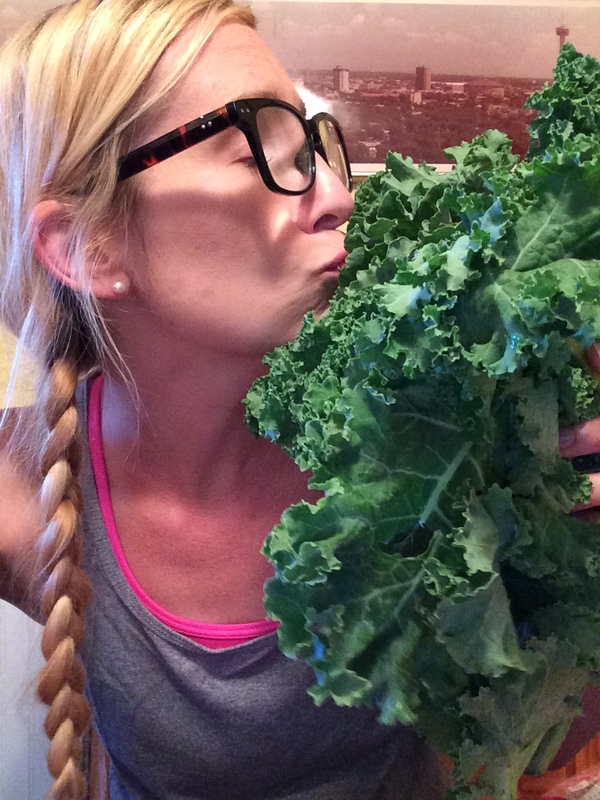 I discovered kale a few years ago when people started using it for smoothies. I tried, and quite honestly, I wasn’t impressed with what happens to kale when you add it to your smoothies. Kinda really grossed me out. But I didn’t give up on it, and I’m totally smitten. It’s my favorite vegetable. I haven’t always been a fan of bitter greens… the sharp flavor isn’t for everyone. 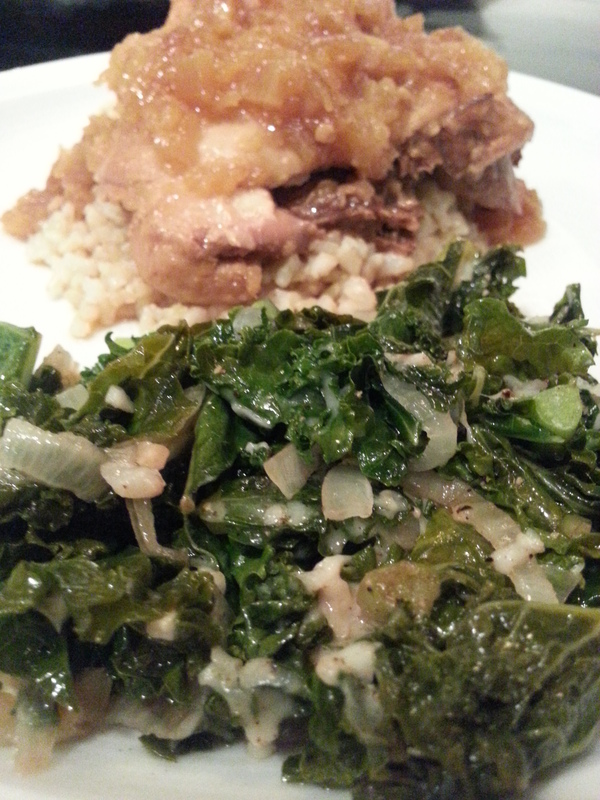 As a child, my momma would make mustard greens every once in awhile… and I would gag with every attempted bite. She also served canned spinach, which also had a superior gag-rating in my book… until I discovered that putting a little white vinegar on the sludge made it go down easier. She didn’t make fresh spinach until I was long out of the house. I’m forever grateful for white vinegar… too bad she quit making greens after I discovered the vinegar trick. Now that I’m an adult, I adore bitter greens. I gobble them up. I love dandelion greens, blanched and sauteed with bacon grease and garlic. Or raw and mixed in with field greens in a salad. And you thought dandelions were just a weed… think again. Dandelion Root has great anti-oxidant properties and has been shown to fight cancer. For real. But that’s a story for another day. Peppery, delicate arugula… I eat arugula straight from the pot I have it growing in… thankfully, no one else in the family likes it so it’s MINE… ALL MINE (insert Daffy Duck’s voice and maniacal laughter). And kale, oh… KALE. I started serving kale to my family by disguising it. I sautéed it with fresh spinach, mushrooms, colorful sweet peppers, onions and garlic, and it took a couple meals before someone asked what it was. Pretty sneaky, huh? They ate it all. I won. Lately, I’ve seen some reports that state that you can eat too much kale and that overdoing kale-consumption can lead to hyperthyroidism and kidney stones… so I guess it’s a good thing I’m too lazy to wash kale more often than I do. See, I knew there was a better reason out there… been there and done that with the kidney stones, I’ll pass on THAT. Thanks but NO thanks. While there are studies that claim the ill-effects of overdoing the delightfully bitter greens, when eaten in moderation, kale has incredible health benefits. It’s low-cal, high in fiber and has no fat (I’d hope a leafy green is fat free… kinda like “Gluten-Free Water”). High in vitamins A, C, K, calcium and in iron. It’s filled with cancer-fighting antioxidants. Anti-inflammatory, cardiovascularly supportive and helps detox your body for a healthy liver. And it tastes wonderful. 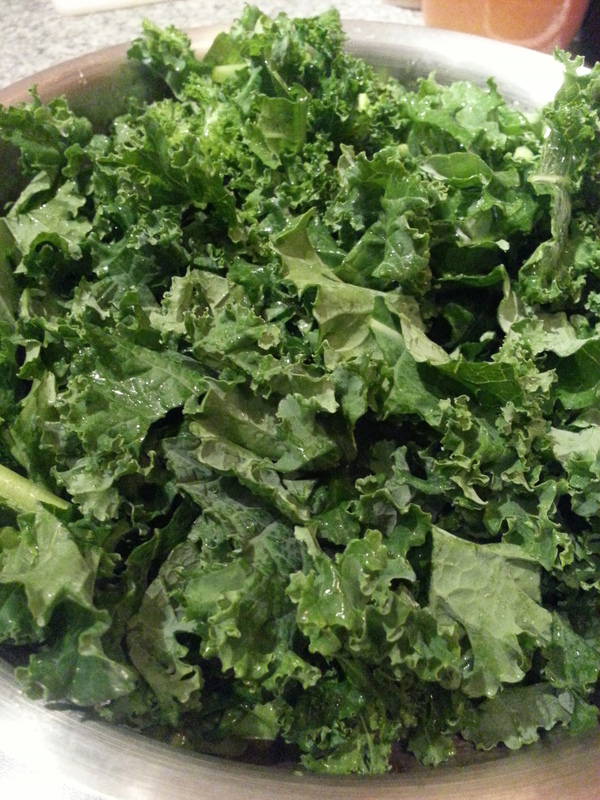 I make kale salads often but lately I’ve been sautéing it. Right now, at this very moment in time, I have onions carmelizing on the stovetop, ready for my triple-washed, chopped kale to be tossed in with some fresh garlic and sautéed until it’s just a little wilty … then I’ll remove it from heat, sprinkle some balsamic vinegar (about 2 tablespoons) over it, sprinkle some freshly grated parmesan-reggiano cheese over that, grind some fresh pepper on top, cover it and let it sit until we’re ready to eat. Man, it’s some good stuff. You should smell it. I saw a recipe for this the other day, and it was with chunked chicken breasts, a can of pineapple juice, a half cup of soy sauce and a half cup of brown sugar… dumped in the crock pot and six hours on low. I can do better than that. Today, I spied those packages of chicken quarters in the fridge – four quarters to work with (this is where math freaks me out because four quarters does NOT equal one whole chicken…right?!) and with as many times as I’m at HEB each week (where the majority of our money goes), I really, really REALLY LOATHE GOING TO HEB ON THE WEEKENDS. There. I said it. Who ARE all those people, standing in MY way?! I subscribe to the new “don’t wash your chicken” rule. I’ve always felt that “washing” chicken will splatter chicken cooties all over the place… far beyond the range of where I feel comfortable spraying Clorox Clean-Up. Whew. Glad to know that new studies say any bad germs will be killed when you properly COOK your raw meat. Who knew? ((I knew)). So, I took my raw chicken and carefully arranged it in the crock pot. I opened a can of crushed pineapple and dumped it over the chicken. I liberally sprinkled crushed garlic over the top. Chopped half an onion and added it. Carefully sprinkled about a quarter cup of brown sugar over that (I say “about a quarter cup” because I just guessed. Plus, I didn’t have much. Remember, measurements… ehhhhhh. And UPDATE: Husband said that was adding extra sugar when the fruit has enough). I splashed some soy sauce over all of that until I felt it was adequately soyed. Salt, pepper. Put the lid on. High for four hours. Got some organic short-grain brown cooking in organic chicken broth right now. The SMELL in this house. OH MY GAWD. Easy, easy. Use as much organic as you can… ALWAYS check for USDA Certification. I really wish brown rice cooked faster. Girl, you had me with kale. Then you finish with an entire meal! What a great blog … I’m gonna love this. Hugs, honey bunch! Great blog Krysta! It’s informative, funny, and good ideas for cooking. Way to go girl!!! Previous Previous post: Blog? Me?! But I hate templates. Next Next post: Krysta Likes Her Shrimp Spicy.